Hi and welcome to the keyoption.org’s New Binary Option Traders Guide. This page covers the basic but important facts about binary options online you need to know before you begin trading. It is a good idea to bookmark this page as you will likely reference it in the future. Here is an outline of the things you will learn. Binary options are very simple option contract with a fixed risk and fixed reward. These options are called binary options online because there is a “one or the other choice” and a one or the other payout after the option expires. One or the other choices include up or down, or touch and no/touch. In computer code binary means 1 or 0, or one or the other. The way a binary option works is from the traders perspective (yours) is that you choose whether or not a certain underlying asset (a stock, commodity, currency etc) is going to go up or down in a certain amount of time. You essentially bet money on this prediction. You are shown how much money up front you will earn if your prediction is correct. If your prediction is wrong, you lose your bet and the money risked. If you predict correctly you get your money risked back PLUS a return. These returns usually are between 70-85%. A brief example would be that you predict the price of gold to rise from it’s current price of “$1612.75” one hour from now. The winning trade offers a return of 80%. You place a $100 trade on this idea. One hour from now the option contract expires (closes) and the contract is graded as a “win” or a “loss”, or “in the money” / “out of the money”. Gold goes up to $1613, you predicted correctly. You get your $100 back and a return of 80% – or $80 for a total of $180. Even though gold only went up a tiny amount, you still earn the 80% return. Magnitude of price movement is not a factor in the amount of your return. All of the different binary option contracts have these three key ingredients that traders need to take note of. They are the expiry time, the strike price, and the payout offers. The expiry time is simply the length of time from the moment you ‘buy’ the option contract until it closes. This can be as fast as 60 seconds or as long as a month. The majority of traders are trading the short term binary options online, anywhere from 60 seconds to 30 minutes. The strike price is the price that you were able to enter the trade at and this is the price that determines whether or not your trade is a winner or a loser. In the brief example above, the strike price is $1612.75. This is the price that gold needed to close at above in order to win this trade. The payout offer is the return that binary option broker is offering to you. In the gold trade example above, the payout offer was 80% for a win and 0% for a loss. Some trades do have a return percentage for losses, typically up to 10% although this is broker and trade dependent. The payout offer is known up front before risking any money. There are multiple types of binary options online available to trade. The simplest and by far most common trade is the Up/Down trade. You can learn about the different types of binary options online available to trade . We have compiled a that will help you get started making higher probability trades. I am going to beef up this section as new tools arrive on the market to help you make your trades. For now you can review some of the binary trading signal services on . There is plenty of risk involved. Never ever invest more with a broker than you can afford to lose. It’s risky! Trading binary options online is designed to be easy to do. Screenshot of a Keyoption Interface – Choose Up Or Down, How Much To Risk and “Apply”. Do you think the price of “x” is going up or down? In the screenshot above from , we are looking at the current price of gold. Gold is “x”. The green line is the price movement of the gold over the course of time. The red section on the right hand side is the last moment you can trade this binary option. After that point, the option is closed for trading. It has not expired quite yet if you traded previously, however your window of trading is over. If you think the price of “Gold” is going up you place a “call”. If you think the price of “Gold” is going down, you place a “put”. Those are your only two options. Hence “Binary”. If you pick the right choice of the two you win the trade. If you pick wrong you lose the trade. There are two choices only. ‘Up or Down’. And two outcomes, ‘Win or Lose’. That is the very basics of binary trading for dummies. It is that simple, and it is designed to be that easy. Your return is clearly stated before hitting the ‘apply’ button. You will earn 72% on your investment if you finish the trade ‘in the money’. “X” can be any number of underlying assets. It can be a certain stock or it can be the price of gold or oil. It can be a currency pair or it can be the price of facebooks stock. You get to choose what underlying asset you want to trade. There is one more important factor left out of the simple illustration above and that is the expiration time or maturity date of the option. This is the point in time when the trade expires. This is the point when the actual price of the underlying asset is determined and you find out if you finish the trade ‘in the money’ with a win, or ‘out of the money’ with a loss. If you chose ‘up, or call’ and at the the price expired higher, you win. The expiration times vary from as to as long as hours, days and even weeks. The easiest way to explain what a binary trade looks like is to provide an example. Perhaps Google is doing well and you expect it to be trading above $672.10 by 3:30pm est this afternoon. A binary trade means you place a bet on that theory. Above is the corresponding candlestick chart for Google, from FreeStockCharts.com. You can use this to read price action and find trading opportunities. And here is the corresponding Binary trade offered by TradeRush.com – You risk $1000.00 that will be trading at or above $672.10 at 3:30pm later today. Your return on this trade is 70% if you win and 10% if you lose. When 3:30pm rolls around and Googles stock is trading at or above $672.1.00 as you predicted, you’ll be paid $1700.00. This includes your $1000 you put up on the trade up front and the 70% return ($700). If you’re wrong and the stock is trading at less than $672.10, you receive $100, a 10% rebate, losing $900 total (Your $1000 investment amount minus the $100 return = $900 loss). In the example above, $672.10 is called the “strike price.” Since you bet in a positive direction, we would refer to this as a “call,” not a “put.” $700.00 is the “payoff value.” The date and time are called the “expiration date,” or the maturity date. The $100 is the losing return, or a 10% rebate offered sometimes on trades. Not all binary option brokers offer rebates on trades that finish out of the money. You could also have bet in the opposite direction, that the stock’s price would be trading at or below a certain lower value, which would have been a “put.” In that situation, you would need google to finish below the strike price. Usually, this would be a few pips below what the strike price would be if it was a call. This price is set by the individual broker along with the returns offered. It is up to the trader to take the trade or not. If you want to profit from the swings in the gold market, there are hardly any better ways to do so than with a binary option. With a one touch trade, the only thing that has to happen to win is that the asset hits the 1 touch price. You bet $100 that the price of gold will touch $1617.40 by 3pm EST today. The payout for this trade is 70% if you finish in the money. If you win, you will get a payout of $170 which includes your $100 risked up front plus the $70 return (70% of $100 = $70). Since a 70% return is a bit low on the payout side, the broker offers a 15% rebate on losses. If you lose, you get $15 back and only lose $85 instead of the full $100. You can see how this can offset the lower than average return for wins. You place the trade and need the price of gold to reach the target price, or trigger price of $1617.40 before 3pm today. Luckily for you, there was a some negative news regarding the dollar’s value that drove fears of inflation. The price of gold and oil went up accordingly. When the news broke, the gold price spiked up and hit your target price. Triggering your trade to close in the money. You were paid $170 which includes your $100 bet up front plus the $70 return on your investment. You can trade one touch options at sites like , not all brokers offer them even though they are the 2nd most popular form of binary trading. 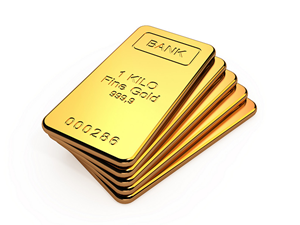 Trade commodities like gold and oil with easy to buy binary options online. Choose your underlying asset. IE gold, currency pair, stock etc. Decide how long until you want the option to expire. As little as 60 seconds up to a days or week. Common expiry times are 15-30 minutes. Choose the amount you wish to risk. As little as $5, as much as thousands. Decide which way you think the price is going to move (up or down). Click “Up or Down” and hit the “Apply” Button – just before hitting “Apply” you will see the exact payout if you win or lose. At expiry you have either won or lost and get the fixed payout offered prior to hitting the ‘apply’ button. You can not lose more than your risked amount and you can not make more than your fixed return, regardless of how far the price moves. Binaries are one or the other choice with a one or the other payout or loss. Winning returns average 70-85% at the respectable brokers for most trades. If you lose, you get between 0-15%. Some brokers kick back some percentages on losses, that’s why their winning returns are sometimes a bit lower compared to the other brokers. Risk is known up front and fixed. You can not lose more than you put into any trade. You are not and can not get burned by leverage like you can with forex trading. You do not need to set ‘stop losses’. The return is the same whether you win or lose by 1 pip or 100 pips. Payouts are clearly stated and known exactly up front before risking any money on the trade. Executing the trade is easy. Choose your asset to trade, how much to risk, choose ‘up or down’ and click the ‘trade now’ button. Returns are 70-85% on average at the . No hidden costs – Your risk and full return are clearly listed. You do not have to be a financial “expert” to win. You never take any actual ownership of the underlying asset. You are just predicting what happens to the price of the asset. If you know what a binary option is but would like to learn then jump back over to our page focused on the things you need to know to start trading. 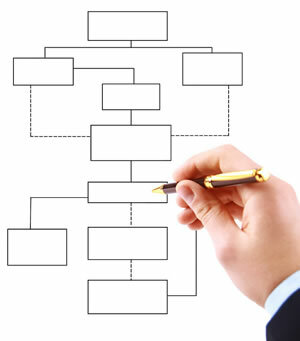 This page is more a basic overview of what is going on when talking about binary options online. Anyone can trade binary options online. Even a dummy can win any given binary trade, too. It is one or the other choice, it is hard to get it that wrong all of the time. However, to be a long term winner you have to develop a method and strategy that works for you. You have to consistently profit by winning more trades than you lose. Since there is risk involved, that means that you need to create a method to succeed. You can do that by on our tips and strategies to win and practicing with a . We also recommend learning the basics of candlestick chart reading in order to judge price action. If you are ready to take the next steps and learn more about binary trading then jump back to our Keyoption Guide list of lessons. To continue reading through the lessons and tutorials. You certainly want to learn to read a candlestick chart as well as find the right broker to trade with. – Risk Free at Marketsworld (details within link).